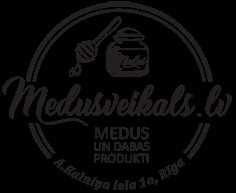 As the sale of the goods offered by Medus Veikals takes place through an online offer, in accordance with Section 10 of Consumer Protection Law of the Republic of Latvia (PTAL), in such case, when Buyer makes an order, a Distance Contract shall be concluded between the Buyer and the Seller. 2. When making the order, the Buyer confirms that he/she has inspected this Contract and regulations included in it, he/she knows them, he/she understands them and fully agrees with them. The Buyer shall undertake to inspect the Contract terms at each time of purchase. The Buyer shall not be entitled to order goods from the Online shop if he/she has not inspected the Contract terms or does not agree with them. 4. All prices of goods at Medus Veikals are shown including the Value Added Tax 12% and 21%. The costs of delivery service of the goods are not included in the shown price of the product, except if the order amount is over EUR 50 (EUR) - in this case costs of delivery in the territory of Latvia are included in the price of the goods. 5. For using the online shop services and purchasing the goods offered there, the Buyer may choose whether to purchase the goods with or without registration. 6. After registration, the Buyer shall undertake to ensure that the password is not disclosed to third parties. The Buyer is responsible for any of his/her activities at the online shop by joining with his/her password. If the services provided by the online shop are used by a third party using the Buyer's access data, the Seller believes this person to be the Buyer. If the Buyer loses the access data, he shall immediately inform the Seller about it via phone or e-mail given on the online shop website. 7. When providing information about himself/herself, the Buyer entitles the Seller as a personal data controller to select, accumulate, systematise, and use all information and data provided by the Buyer directly or indirectly when using the Online Shop services. 8. The personal data provided by the Buyer will be used only by the Seller and its partners with whom the Seller cooperates to administrate the online shop, to deliver goods and to provide other services related to executing the Buyer's order. The Seller confirms that he will not disclose the Buyer's personal data to other third parties, except in cases stated in the legal acts of the Republic of Latvia. 9.3 By Visa/MasterCard payment cards or by Swedbank, Citadele, SEB bank, and Luminor Bank online bank immediately after placing the order. Card and Banklink payment processing is performed by Paysera LT UAB from 01.02.2019. In all cases, delivery time of the product shall be agreed before the order is delivered. 11. The ordered product you chose to receive in the shop (as delivery method) shall be picked up within 3 (three) business days from the moment when Medus Veikals notified that the order is ready for receipt. The item will not be reserved any longer. 12. Upon receipt of the goods, the Buyer shall check the conformity of the Goods delivered with the Goods ordered and the quantity ordered. If the Buyer finds that the shipment does not contain the corresponding quantity of goods or the goods delivered do not conform with the order, the Buyer shall inform the Seller immediately, no later than on the day of receipt of the Goods, and describe the found non-conformity in an e-mail letter which shall be sent to info@medusveikals.lv. Otherwise, it is believed that the goods delivered conforms with the order in the corresponding quantity ordered. The Seller shall verify the circumstances specified in the notice within 10 (ten) days from the moment of receipt of the notice and communicates with the Buyer to find a solution of the situation. 13. The Buyer shall ensure that at the moment of delivery of the goods the person specified in the order is located at the address specified in the order, presents a personal identification document to the courier, accepts the goods without delay, signs the consignment note, makes notes in the consignment note. 14. If the Buyer has not ensured fulfilment of Clause 13, the Seller shall not be liable for any losses of the Buyer, whereas the Buyer shall bear the costs and losses incurred to the Seller for delivery or return of the goods. The Seller shall be entitled to withhold the costs and losses from the amount paid by the Buyer if the Buyer has not accepted the item or it has not been issued to the Buyer due to circumstances beyond the Seller's control and it has been returned to the Seller. 15. Before starting to use the purchased product, please, carefully read product use instructions (if any) and use the product only in accordance with the manufacturer's instructions, according to the characteristics of the product and intended uses. 16. If you have changed your mind and decided to reject the purchase, Consumer Rights Protection Law (PTAL) of the Republic of Latvia and Regulations of the Cabinet of Ministers No.255 "Regulations Regarding Distance Contracts" (Cabinet Regulations No. 255) states that the buyer is entitled to withdraw from the contract within 14 calendar days and return the goods purchased at the online shop to the seller. Section 12 (6) of the PTAL states that "the consumer is responsible for maintaining the quality and safety of the product within the time period for exercising the right of withdrawal" when rejecting the purchase in case of a Distance Contract. We recommend keeping the original packaging of the product in order to prevent the product from external mechanical damage while exercising the right of withdrawal in accordance with the terms of the Distance Contract. Medus Veikals retains the right to withhold compensation charge or refuse to accept an item that is damaged, is not in a complete set, or has otherwise lost its original appearance. To arrange returning an item, please contact us via e-mail: info@medusveikals.lv or phone: +371 67220001, specifying the order number and date. 17. Within thirty days after accepting the item, the Seller shall refund to the Buyer the price of the goods which the Buyer has returned to the Seller in accordance with the procedure stated in this Contract. 18. If the Buyer returns the goods to the Seller exercising the right of withdrawal, the delivery fee to the Buyer will not be refunded. 20. If during the warranty period technical problems have occured to the item, the free warranty service will be performed to the item in accordance with the warranty service conditions specified by the manufacturer of the item. The warranty service period for the item is specified in its description. Warranty documents are valid only if the following is correctly and clearly stated therein: product model, serial number, date of sale. It is forbidden to make any changes in the warranty documents, to delete or overwrite the data specified therein - in this case the warranty documents will be declared invalid. 21. Claims received for the quality of the product will be settled in accordance with the norms of Consumer Rights Protection Law (PTAL) of the Republic of Latvia, in accordance with the regulatory regulations of the Cabinet of Ministers No. 631 “Procedures for the Submission and Examination of Consumer Claims Regarding the Non-conformity of Goods or Services with Contract Provisions” requirements (CM Regulations No. 631). It is reminded that PTAL norms do not apply to cases when the item is purchased by legal persons. 22. The Seller shall not be liable for any consequences if the image of the online shop items on the Buyer's computer monitor differs from the appearance of the items in nature by any characteristics due to the features of the Buyer's computer or monitor. 23. Medus Veikals may freely organize various marketing activities, including loyalty programs. 24. When making purchases at online shop Medus Veikals, you automatically apply for receiving news to your e-mail. 1. On your registered profile on Medus Veikals website uncheck the box opposite to "Newsletters in e-mail". 1.1 At the end of the newsletter in e-mail click on "Unsubscribe to receiving news and special offers from Medus Veikals."